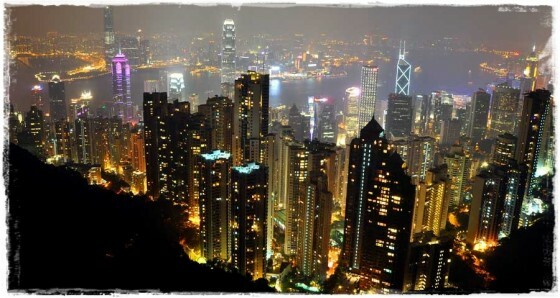 Tonight we rode to the top of Victoria Peak. 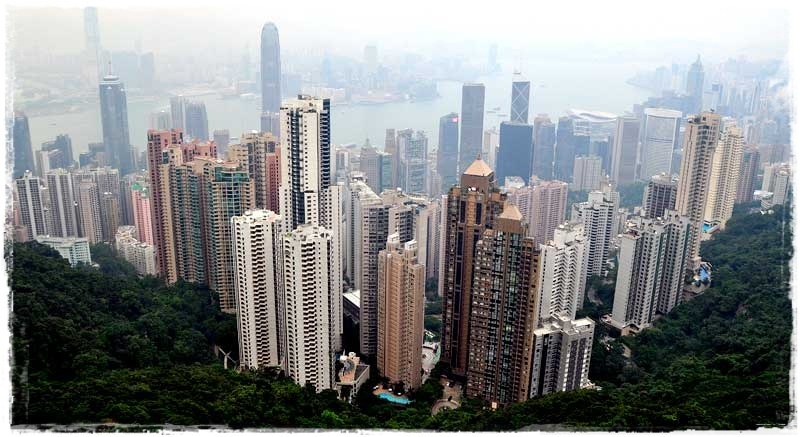 The Peak, as locals know it, offers some of the most stunning views of Hong Kong Island, Kowloon and Victoria Harbor. Like many things in China, even in Hong Kong, the tourist hoards are ever present, so there was a lot of patience involved. The Peak Tram is the ideal, and most popular tourist selection to get to the top of Victoria Peak. You can also ride the bus, which is also a little bit of an adventure as you wind through narrow roads, overlooking steep fall offs below. Timing our trip to get to the viewing area, The Sky Terrace, just before dusk worked perfectly. A couple of photos were snapped off just before the sun descended beyond the horizon, and we watched patiently for the lights of city to glow below. Entranced by the glowing city seemingly at our feet, I consciously attempted to burn the image in my mind forever, only wishing I live in Hong Kong for awhile, so I could come back another night.